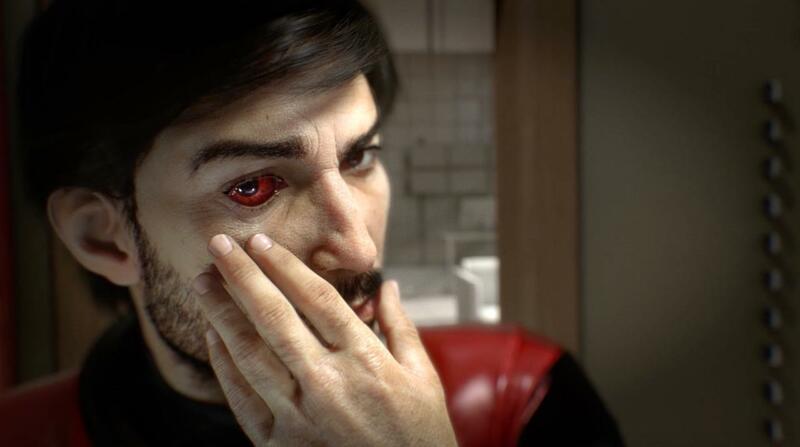 Prey burrows beneath your skin and never quite leaves your waking thoughts, but it's also buggy and imbalanced, marrying a first-rate setting to uneven gameplay. Comparisons with Bioshock are inevitable, but with its peaks and troughs, Prey reminds me more of Alien: Isolation. 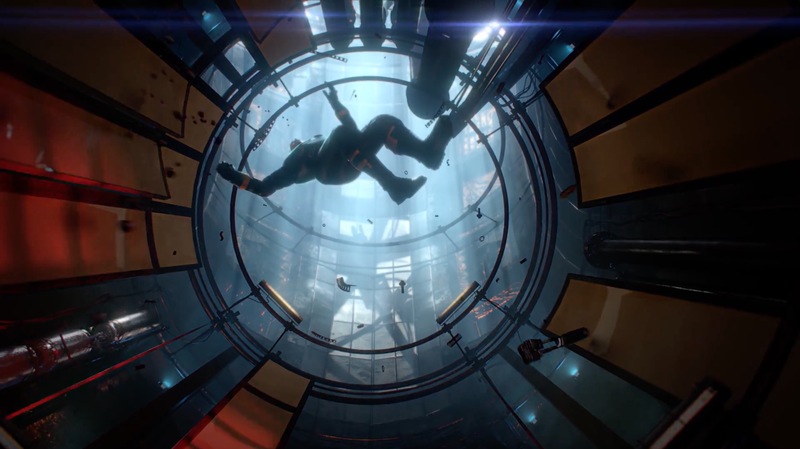 The latest release from Raphael Colantonio and Arkane Studios (Dishonored, Dishonored 2) will draw comparisons with Bioshock and System Shock, but the game Prey reminds me of most is Alien: Isolation. Both titles rely on a haunted house setting in space, carving out an atmosphere that’s thick with dread and like Isolation before it, Prey evokes a strong sense of place long after it’s over, with a number of dizzying high points along the way. But more than anything, it shares Isolation’s appetite for mixing high drama with sheer frustration, replete with blink-and-you-miss-it game over screens and an assortment of balancing issues that leave you sour. Like any business, the games industry is a tug of war between its main stakeholders: the developers, the publishers, the media and most importantly – you. Publisher Bethesda’s recent decision to withhold review copies from the press is a clear power play, but it’s their prerogative and it doesn’t bother me. What does bother me is this modern notion that consumers should pay full whack for a product that’s not yet finished, and only will be finished months down the line when the tweaks have been made and the bugs ironed out. 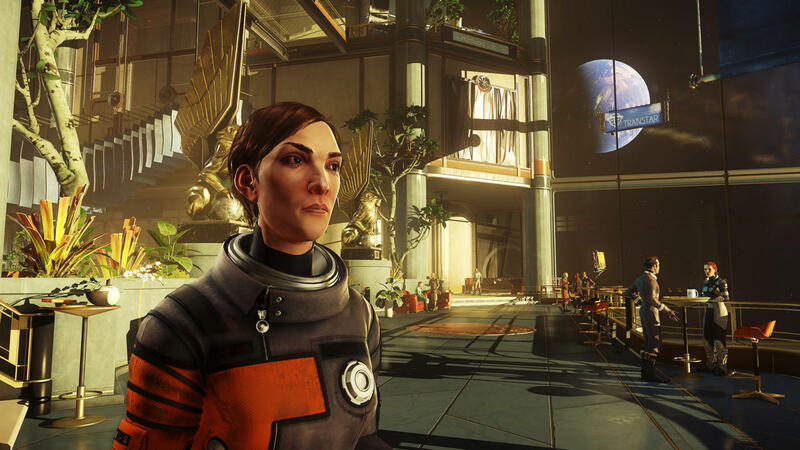 In my 20 hours with Prey – many of which I savored, jotting down notes like “this is the game I’ve been waiting for” – I was cut short by two hard crashes and two instances where I was stuck in the scenery and couldn’t move. Fine, I thought, that’s perfectly normal for a modern day-one release (and if you’re playing Prey properly, you’re quick-saving every step you make anyway). But then there was the glitch with my controller that bugged me the entire run. For whatever reason, every time I walked forwards or backwards or sideways and stopped moving, the game would think I was still edging the sticks in that direction and kept me sliding forwards as if I was on an ice rink. This quirk was magnified tenfold whenever I was irradiated by a particular brand of alien known as a Cystoid, and it made the game impossible to play without feeling sick. I’ve heard reports of other players having the same problem, too. Okay, so bugs are bugs and these will get squashed. A larger issue is that Prey feels unbalanced as if all its chess pieces are not quite in the right arrangement yet. Like the way your best efforts at stealth can be unfairly undone by a camouflaged Mimic, or how a fully upgraded shotgun does paltry damage to a little old sentry – on easy – yet the sentry is frying you with its laser beam and killing you stone dead in 2 seconds. (I kid you not, for a while I was convinced Arkane had switched hard and easy around and I was being taken for a fool.) Or the way you can ride an elevator down and find three, four or five nasties waiting for you on the other end and there isn’t a darn thing you can do to hide. Or the fact that the Typhon aliens can teleport around in combat, are hugely overpowered towards the end game, and every trick, tip and anomaly you’ve borrowed from their arsenal drains you of Psi, leaving you up a creek without a paddle when you run dry. Prey is going to be different for everyone and some of you will fare better than me, but I guarantee that every single person will hit the wall where they’re at their wits’ end, out of ammo, out of supplies and far from any means of acquiring new gear. Great, you’re thinking, true survival horror! But the challenge here is punitive and your first playthrough will likely be steeped in frustration. And yet the biggest frustrations in the world couldn’t stop me from completing Prey in two sittings and not wanting to leave. It burrows beneath your skin and never quite leaves your waking thoughts, starring a protagonist deep in space tasked with discovering the secrets of the Talos 1 space station. Talos 1 is shaped like a giant monolith and stands tall as Prey’s crowning achievement. Most of these fictional worlds feel like stages. Behind that arcing vista, or that piece of set design, there’s a guy at the back of the set chewing gum and spitting bubbles, but Talos 1 might as well be real because of the umpteen details Colantonio and his team have poured into it. Loot, a throwaway gimmick in other games, fleshes out the world in striking detail and gives you such measurable rewards – new guns, new gear – that you can’t help but stick around to keep finding more. Then there’s the crew. Every single one of the 267 members of the ill-fated Talos 1 are real characters, whether dead or alive. Security stations allow you to track down each of them via a GPS tracker, which turns into a mini-game of its own, and brings to life this startlingly realized world alongside tastefully-chosen side missions you actually want to complete. For the main story, Colantonio has several tricks up his sleeve and delivers an end game that had me blinking in red-eyed wonderment, which is to say I wanted to dive right back in to follow the breadcrumbs. It’s a story that cleverly plays on the idea of identity and is perfectly told in video game form, while the soundtrack moves between melancholy guitar riffs and up tempo sci-fi numbers that ratchet up the tension. Midway through the game you’re plunged into Zero G and there, at your feet, Talos 1 lies in all its glory. It’s almost as Colantonio and his designers are telling you, “here, have a look at our work,” but this jaunt into space also serves a practical purpose: welcome to an intricate web of fast travel points that minimize the need for backtracking. Every main section of the ship is broken up by a lengthy load time, but once you’re on the ground proper the details burst on screen. Great use of shadows and gorgeous set design bring these areas to life, and even if some of Prey’s textures are low res, they’re hidden from view. Even levelling up is built into the fabric of the world. You improve your abilities using Neuromods, a construct that Talos 1 was built around (there’s no XP, which I like). Gain enough of them and you’ll be able to start developing elaborate new abilities that alter your path through the world. If Arkane proved in Dishonored 1 and 2 that they’re very good at constructing elaborate levels, here they take it a step further and breathe new life into a tired genre. Armed with the wonderfully inventive Gloo Gun – which spits blobs of molten glue – you can build elaborate walkways and take advantage of the emergent moments that Prey has in spades, and in much the same way Nostromo was a character of Alien: Isolation, Talos 1 is the very definition of the Prey experience. Ultimately, this is where the problems begin. Games are a funny old thing. They need to cosset your ego yet give you a challenge and in a game with so many variables, Prey begins to lose the plot, favoring excess over restraint. The enemies come thick and fast yet your gear never feels as if it’s quite up to the challenge, presenting a frustrating slog to the end. 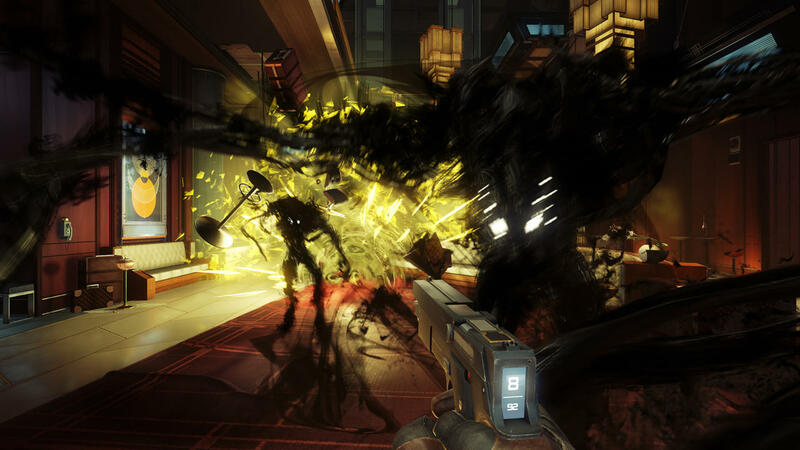 Prey stakes its claim to the mantle of survival horror, but it also undermines the fun of exploration. Had the weapons packed more of a punch or stealth felt more fluid, these wouldn’t have been niggles at all, and they’re conceivably quirks that could be fixed by simply toning the difficulty down in a later patch. Somewhere down the line, when the ink has dried on the final set of patch notes, we’ll be left with yet another shining example of Arkane’s talents. 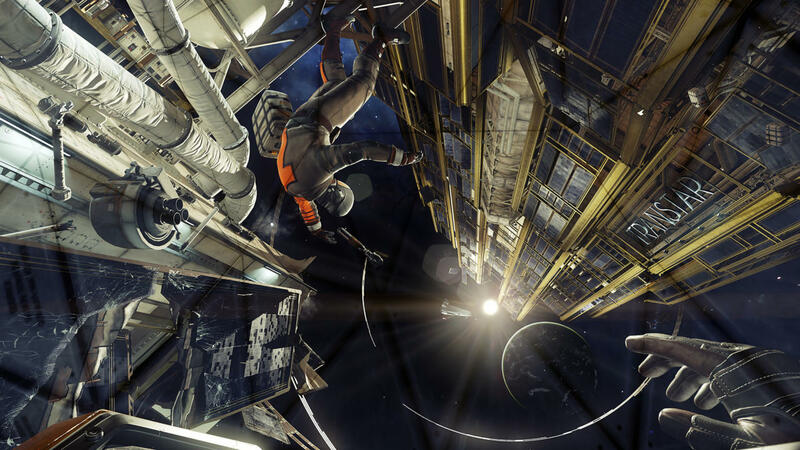 There’s no more exciting game developer in the business right now and I’d urge you to buy Prey just as a show of support to this wonderful team who seem to have a knack for building worlds that beg to be explored. I’ll be diving back into it, make no mistake, but it’ll be with tempered expectations and the knowledge that a game this big inevitably needs to be playtested to the ends of the earth before it’s reasonable to expect smooth sailing. With the pressure heaped on developers to deliver on a deadline, it’s little surprise a game of Prey‘s magnitude is rough around the edges. No doubt in two or three months’ time it’ll be a classic, but for now it is gloriously – and memorably – imperfect.